You always find some true gems to write about! Never heard of this but great to get some inside facts. Great research! 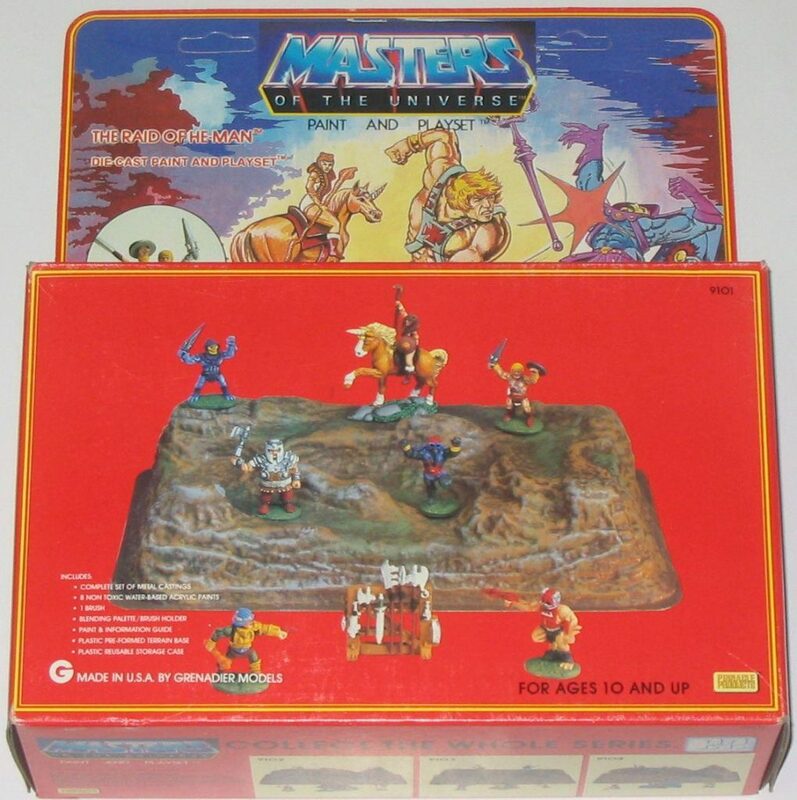 If it was on the cards, I think Size might have been a pain.. while not totally out, a Teela figure on a Barbie figure horse would be pretty bad scale from what I recall. Yeah, I think that might have been a factor that stopped them. 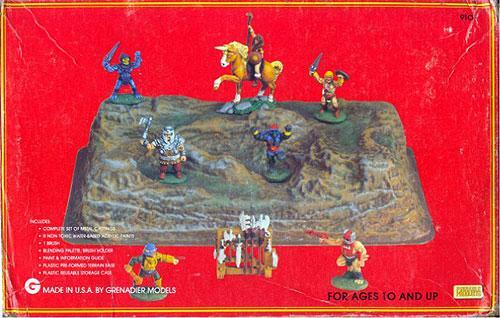 Battle Cat could be out of scale because he’s a giant fantasy tiger mount. 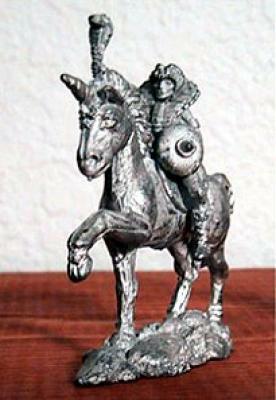 But a giant horse that was otherwise quite ordinary looking might have looked too strange. 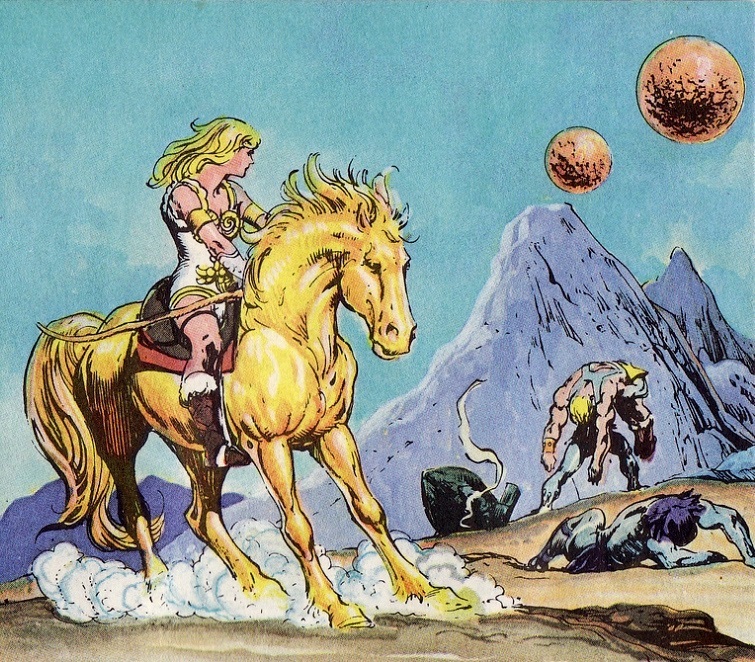 Still, I’d like to buy Dallas sometime and see if it works with Teela. If not the vintage, then maybe the Classics. 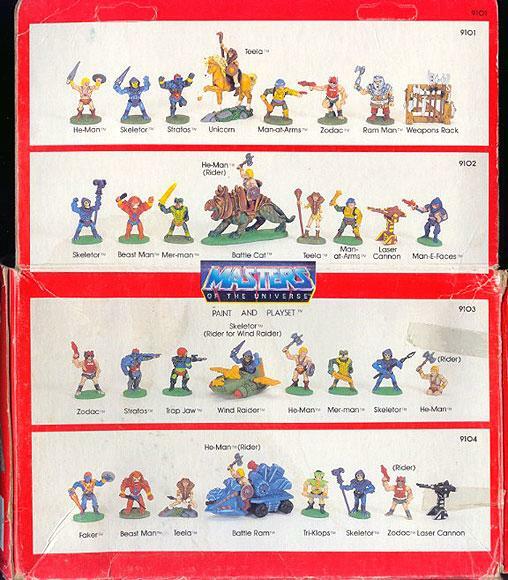 Another terrific article about MOTU minutiae! 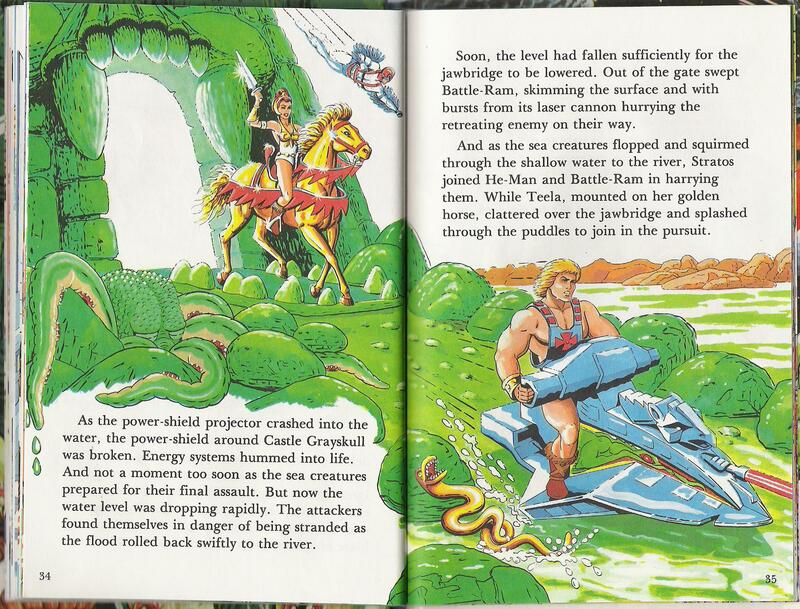 I’d never really noticed the ‘Uni-horn’ on Charger, even though the first Alcala mini-books* will always be how I envision the MOTU universe. A fascinating thought too, regarding the dropping of the horn for possible production/tooling reasons. 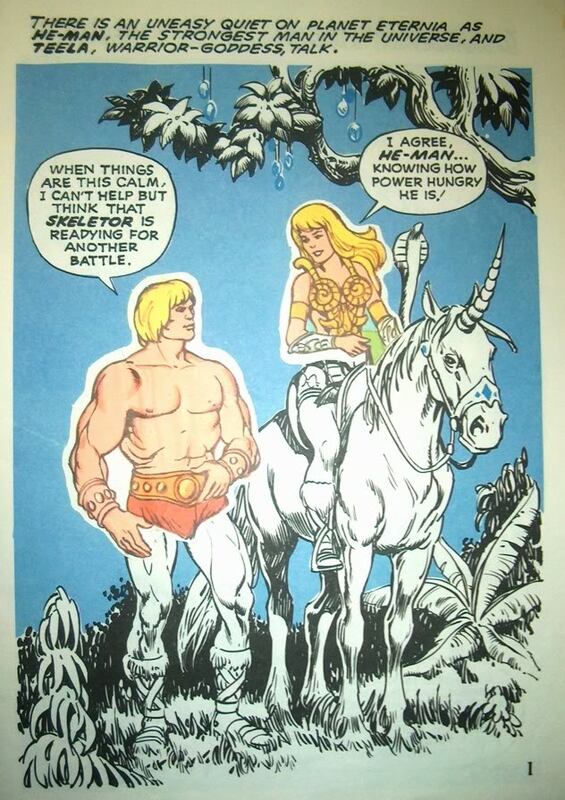 I do wonder just how much product information Alcala had at hand when first painting the early stories, and what liberties he took with the material. 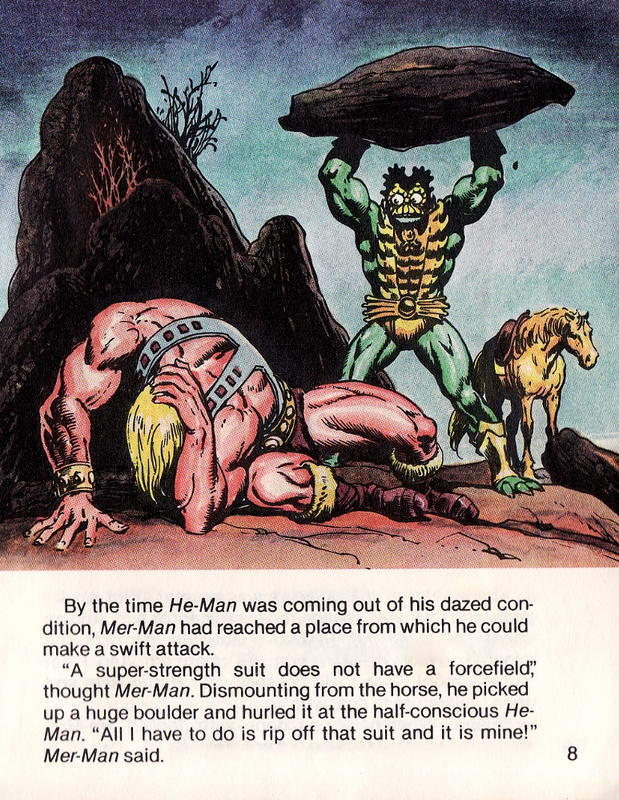 Note: I use the term ‘mini-books’ to denote the first four Alcala stories included with the first figures, because it’s always amused me that they are deemed ‘comics’ – when they very clearly aren’t. 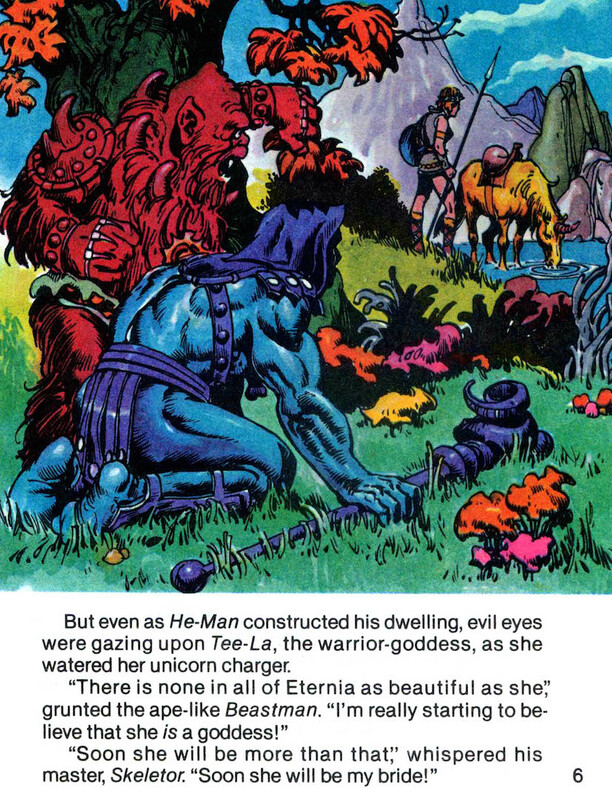 They have a much different vibe and rhythm to the later ‘mini-comics’ (which are truly comics): Alcala’s sweeping watercolors and painterly compositions, combined with the traditional placement of text subservient to image, denotes much more a ‘book’ (or ‘mini-book’, due to the small quarto size). Thanks for the kind words! 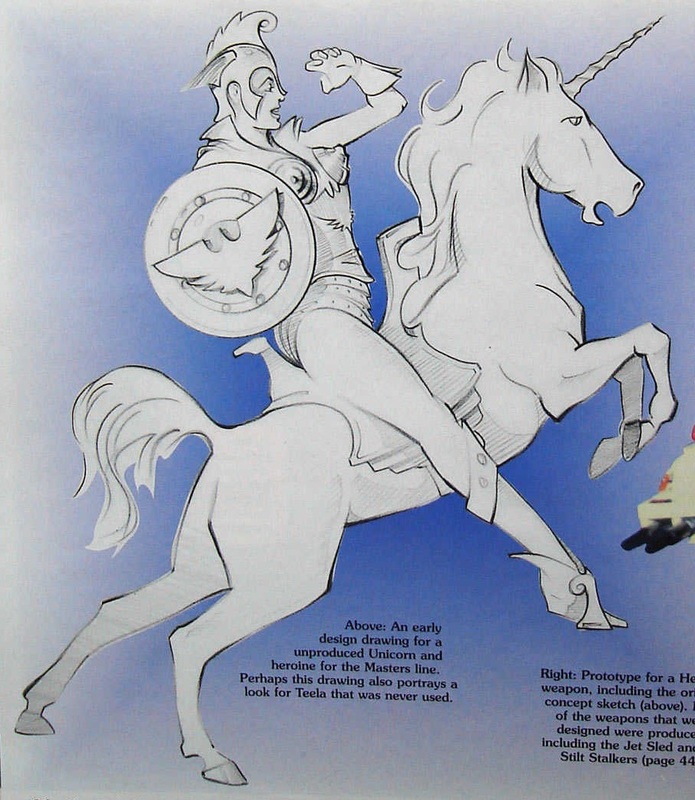 We know Alcala must have had access to either early B-sheets, early prototypes, or both, as his designs mimic those early concept designs (see: https://battleram.wordpress.com/2016/09/20/mark-taylor-the-original-b-sheets-collection/). 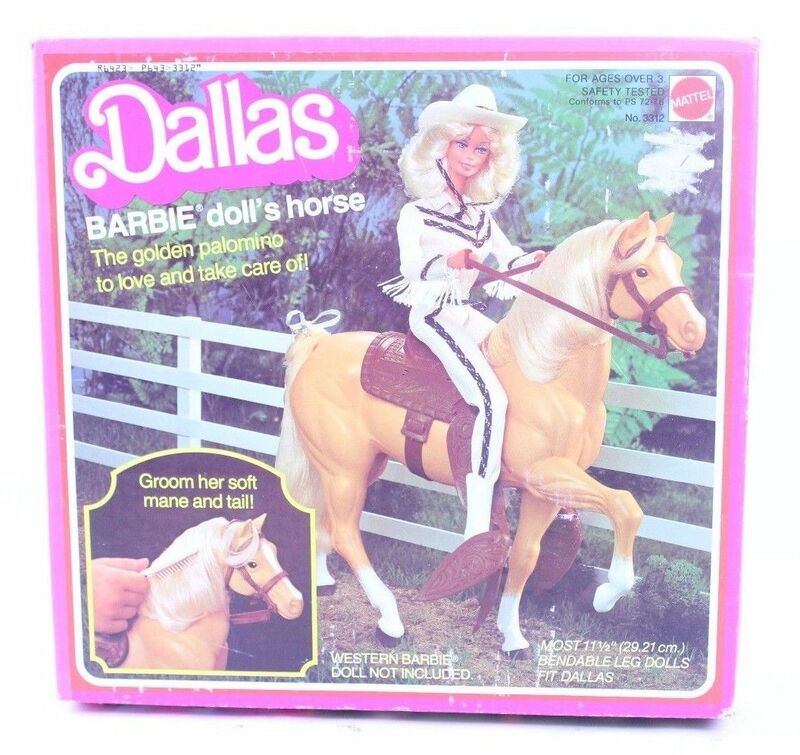 I don’t know for sure of course if he had access to any particular horse designs, but I do find it interesting that his Charger looks so much like Dallas. 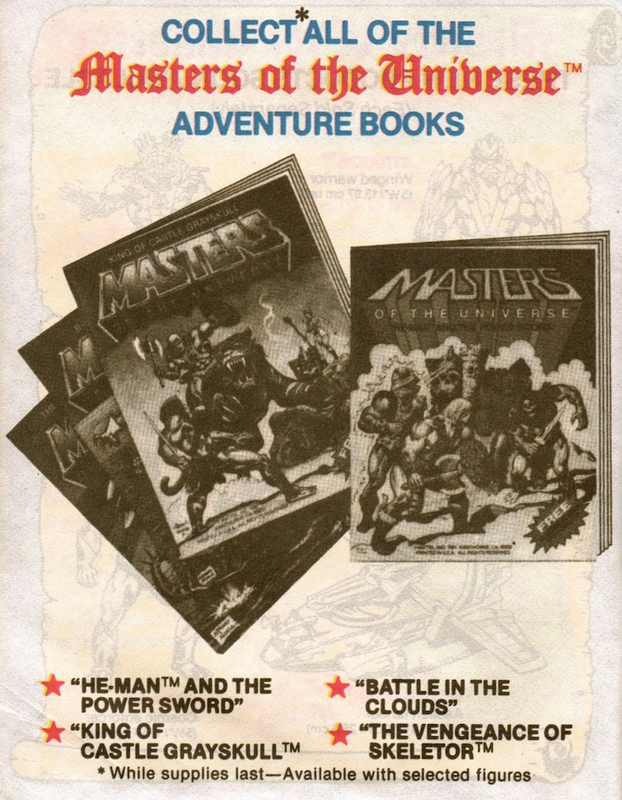 To tell the truth, they ARE comics. Comics weren’t invented in the 19th century but the earlist comics in the modern sense are british. 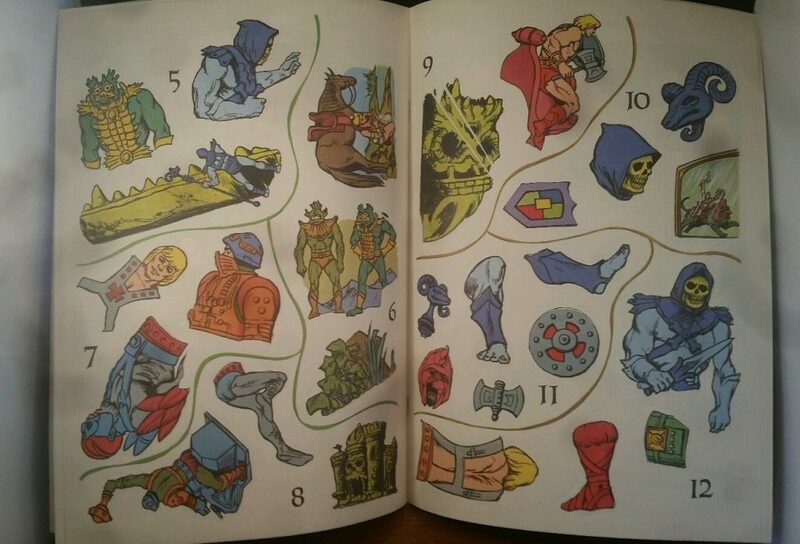 They often were a series of panels with text under them in a block. While the text got smaller and even removed BEFORE the Dandy Comic in 1937, it is often claimed to be one of the prime movers into the only panels with text in them phase of comics. 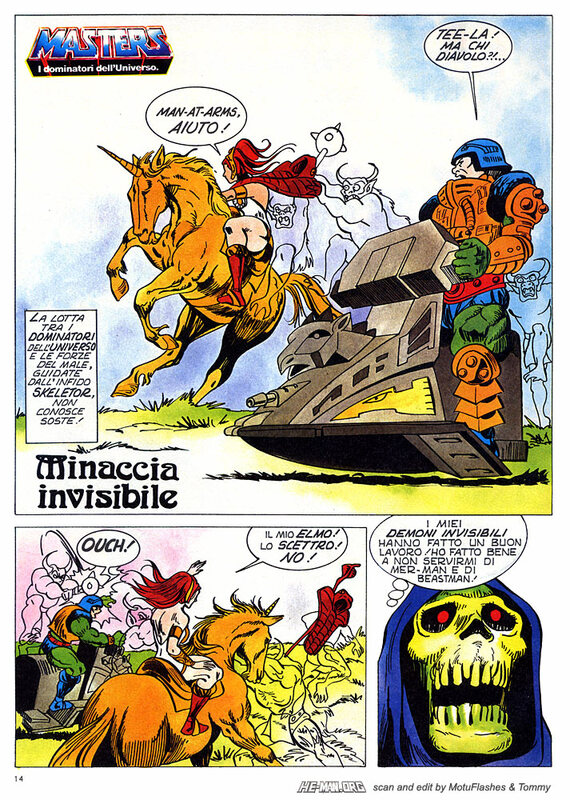 Of course, the long running Il Giornalino Comic predates that (an Italian Catholic comic which is now done out of Vatican city I believe), and also had text under panel. 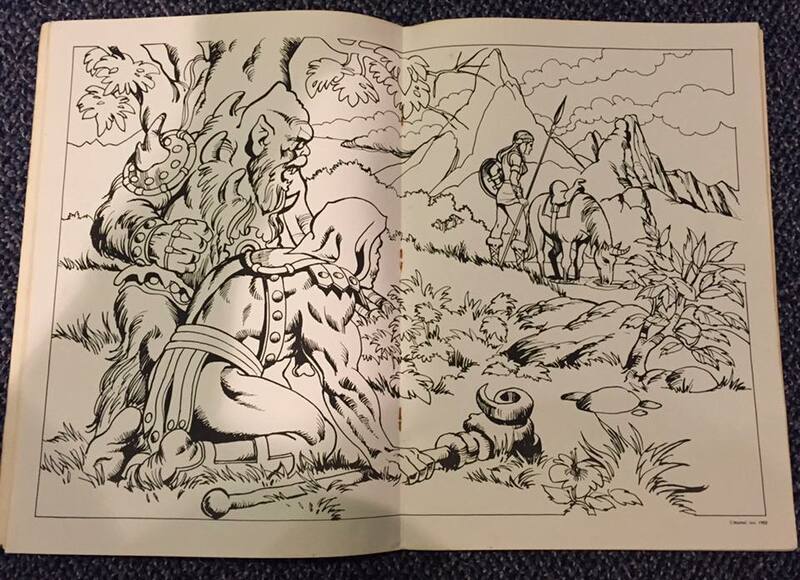 with the size of the mini-comic, one panel on page is not unheard of and was still being done (mostly for cheaper smaller mini-comics) well into the 90s. 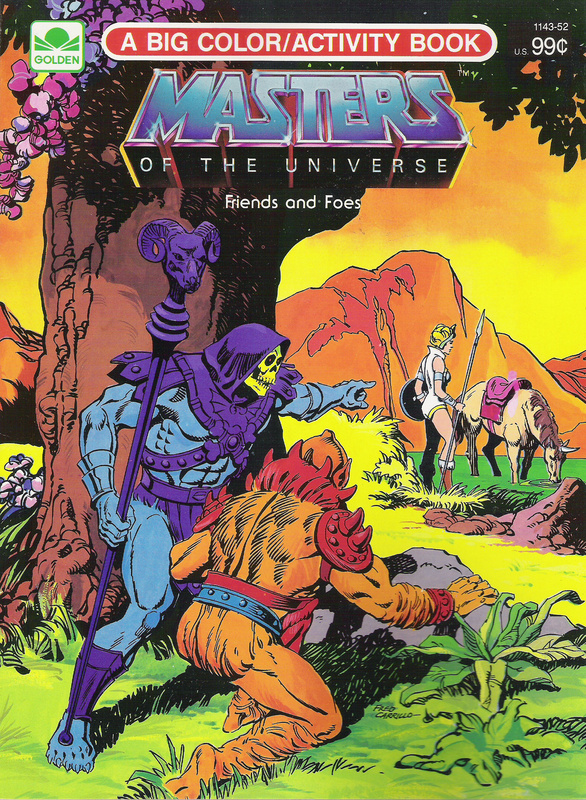 Anyway, it’s true that aren’t mini-comics cause Mattel never called them that unlike the later ones, but the storybook format IS a comic format ^_^ I hang out in comic history circles too much I think. 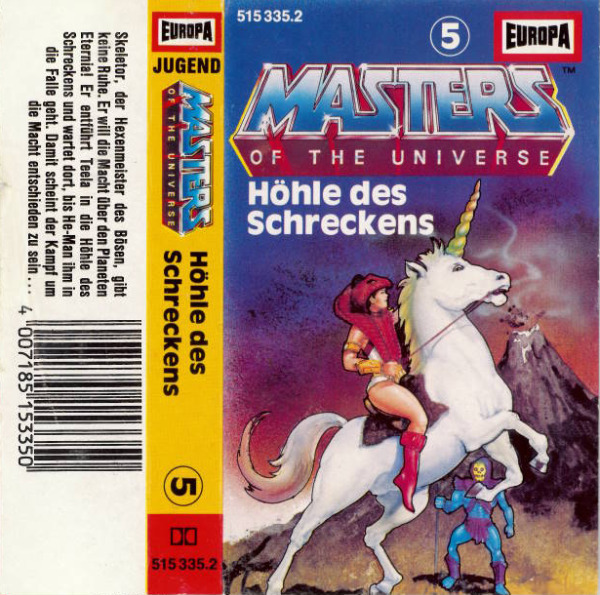 There is also a nice cover with Teela and Charger on the german audio play “Höhle des Schreckens”. Thank you, I’ll update the article! I love this article. 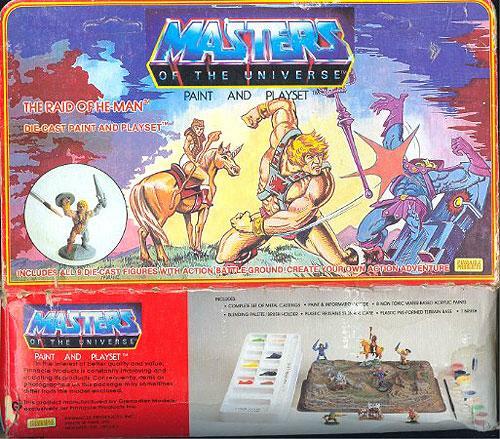 It’s possible that Charger was intended for an early release and a major character, similar to Swift Wind is to She-Ra. 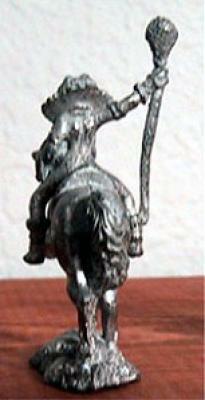 Perhaps price point and that it’s a major accessory for a female played a role. 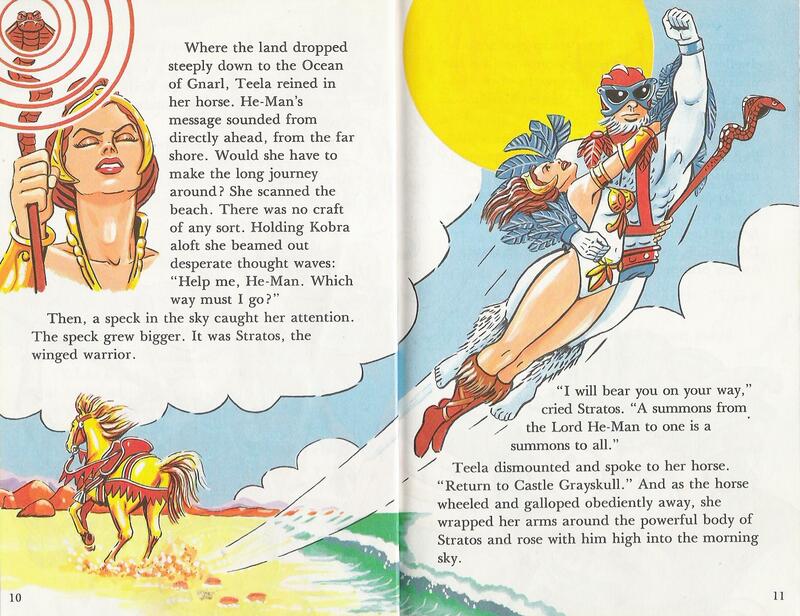 Same reason Sorceress/Goddess was dropped – too many women. 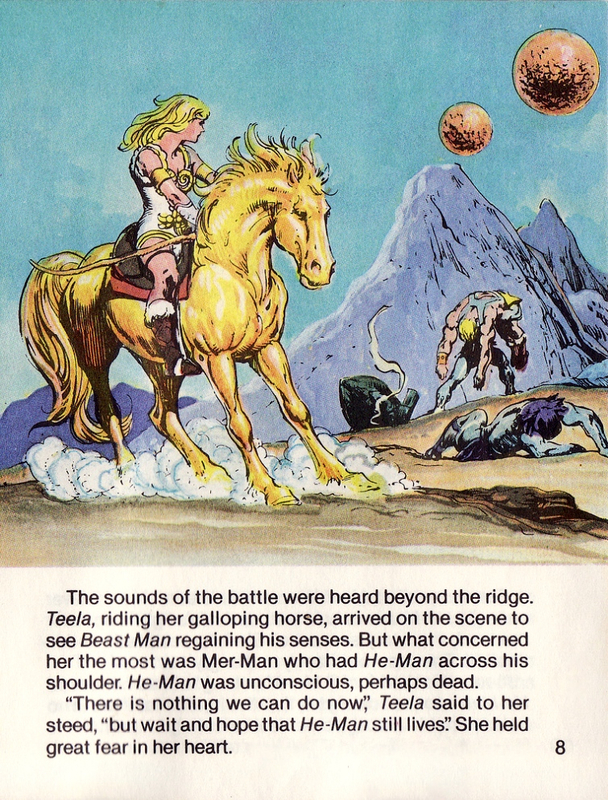 If you notice, early on Charger is identified by name, then later it’s simply “Teela’s horse/her horse.” Same thing happened with the origin of the Star Sisters. 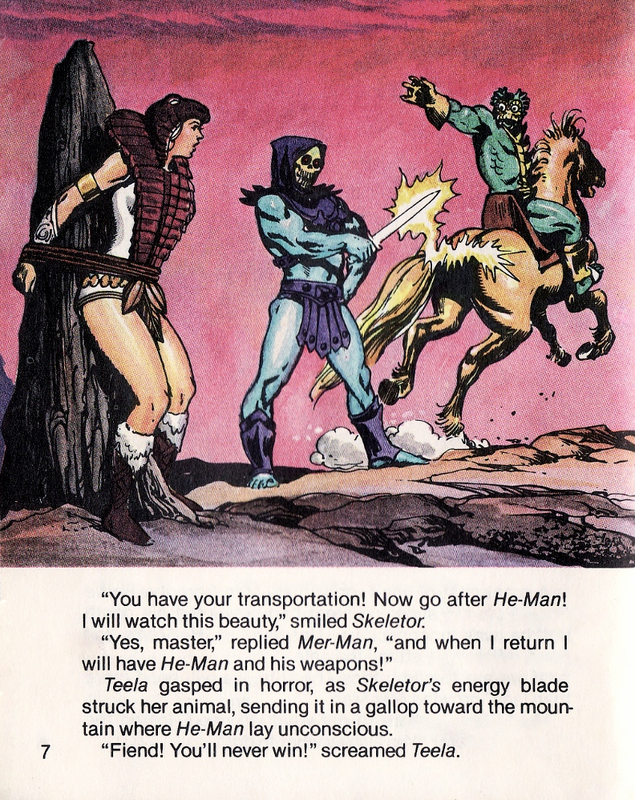 There is a mention of a celestial witch, but no proper name was given specifically because Mattel noted they would not be pursuing an action figure of her. 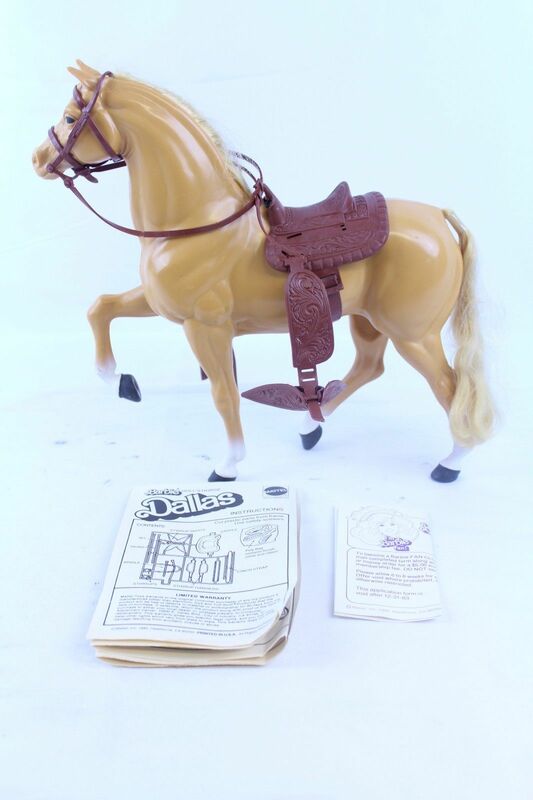 Maybe Charger (by name) was intended to have a toy early on, but was later removed and the name edited out from future stories by request of Mattel so as to not create an expectation of a toy.